Home » Blog » What is Oxymetholone? Oxymetholone is the chemical name of the steroid Anadrol. Anadrol is one of the most popular synthetic drugs that has ever been developed. The drug was first developed in the 1960's to treat anemia and muscle wasting diseases. But since it is three time more anabolic than testosterone, body builders and other athletes started using this drug for getting big and performance enhancing. If you want to gaining big mass of muscles in a shot time of period this is the drug you can use. The result will be amazing if you want to get bigger. There is an endless debate between bodybuilders: Anadrol or Danabol is the best one. Even though they have similar effects and strength levels between them, it comes down to your body and your body type. Take the one that your body reacts well to. The effects of the Anadrol Oxymetholone are increasing the red blood cells in the blood. This also increases the energy and helps recovery. Helping protein syntesis, enhancing nitrogen retention, preserving muscle mass are already known facts that if there were not, the drug wouln’t be around for almost 60 years. 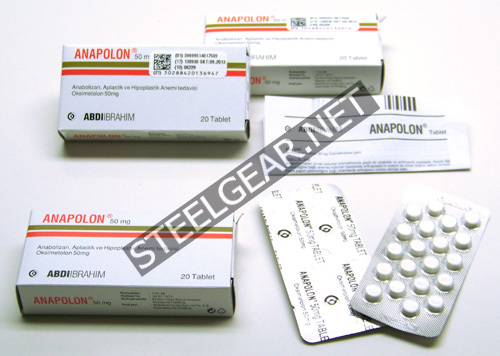 Anadrol’s fast acting nature will help you get result in a short notice so dramatic muscle mass gain is to be expected. As we said before, Anadrol Oxymetholone is an oral drug and it comes in tablets. For the most athletes and body builders 50 mg a day dosage is normal and acceptable. But there are athletes and bodybuilder in you gym who are takeing 100mg a day for more dramatic results. Of course as always we remind you that higher dosage meant higher risk of side effects.